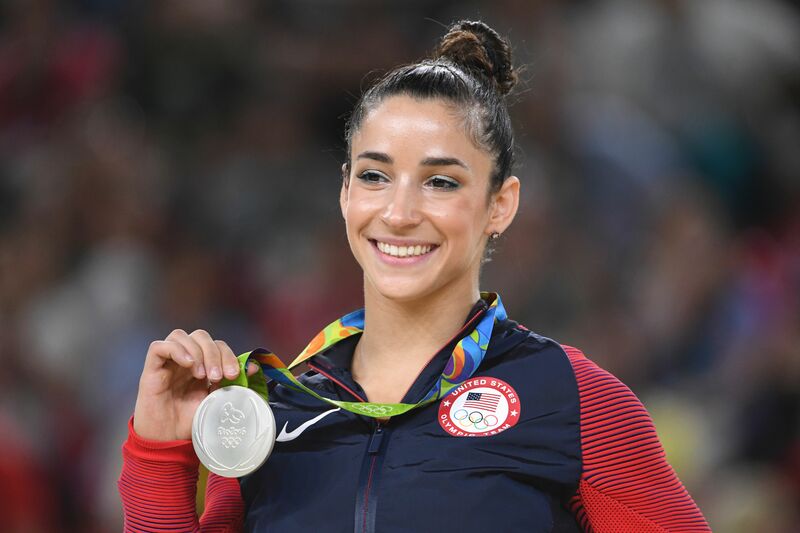 Someone alert the organizers behind the Tokyo Games that we'll need to add a new Olympic category for 2020, because Aly Raisman's parents talking about her and explaining why they get so excited watching her is so adorable that it deserves a gold medal. Not that we ever want the camera to pan away from the Final Five, because they are our queens and we worship them through the TV set. But any time the heart-warmingly stressed faces of Lynn and Rick Raisman fill the screen is such a treat. Our love goes all the way back in London 2012, when their convulsions of nervousness in the stands during Aly's routines won our hearts, and I've been eagerly anticipating any cutaway to them in the audience. They always perfectly reflect my own combination of fear and excitement. Except, y'know, times a million, because this is their daughter. It was always clear that their invisible roller coaster ride was due to immense pride and love for their daughter, and a paralyzingly-strong desire for her to do well. I laughed when I saw the video, because I was just so nervous. I was probably more nervous than Aly. Our family had always loved the Olympics, long before Aly told me that this was what she wanted to do. So to have your daughter in the Olympics is absolutely amazing, but there's a lot of pressure. Everything they've worked for for years is now happening, and it all comes down to a few seconds on some pieces of equipment. So it's really nerve-wracking, because the stakes are just so high! Is it weird that I felt a contraction in my gut just reading that? Somehow it makes the experience of watching Aly Raisman, and indeed all of these gymnasts, that much more heart-wrenching. It drives home the stakes. But that isn't to say that the experience of watching her is necessarily bad, of course. Sometimes you get to bear witness to one of the best moments of your child's life, and that's huge. Her dreams have come true and we got to watch it happen. It's such a unique experience; most parents don't get to watch their kids' dreams come true so clearly, but we saw it here in Rio. I think Aly cried because she really, really wanted it. She wanted to do well. She had medaled in something that she wanted so much. It was a wonderful moment for her. If crying was an Olympic event, I'd be medaling right now. I'm just saying.